Does your dog belt up! bedswildlife on A Jackdaws tail! zaklady bukmacherskie on Iams – cruelty beyond belief! Which pet is best for me? So you have taken the decision to welcome a pet into your family for the first time, so what pet is best for you? Little four-year-old Peter is desperate for that beautiful fluffy bunny he fell in love with in the pet store window, while five year old Mandy has been pleading for a little kitten just like her friend Abigail’s. Decisions, decisions, what do you do? Pet ownership is extremely rewarding and I have long been of the opinion, that animal welfare should be part of the school curriculum, but back to the question in hand. Please do NOT buy or adopt on impulse and do your research before welcoming any animal into your home. At Nina’s Nannies for Pets, we are keen advocates of #adoptdontshop and would always suggest visiting your local animal shelter. 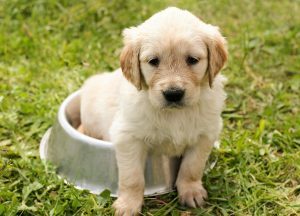 Pet stores are biased to selling their animals and in my opinion, are not best placed to offer the advice required, such as dietary requirements, socialisation and the correct feeding. In my capacity as a pet sitter, I have seen countless Rabbits, Guinea Pigs and small furries (with the exception of Syrian Hamsters), being sold separately. This is heartbreaking given that those mentioned are community animals and should never live alone. Over the eighteen years I have been in business, I have shuddered at the inappropriate housing of some animals in our charge, such as tiny Rabbit hutches with little space for them to maneuver, Chickens kept in tiny pods which are completely inadequate, even for the pets for which they were intended and Ducks with just a bowl of water in a small garden. When buying or adopting any pet, this should be a thought out, will prepared process. If in doubt ask a pet professional such as a vet, or visit the Blue Cross/RSPCA website, which are awash with information about all manner of pets. What size is your garden? Do you work all day? Finances-can you afford the expense of owning a pet? In order to decide the above, you should consider your reasons for wanting a pet. If it is primarily for your children, I would look to the small furies such as rabbits, guinea pigs or another hutch/cage dwelling creature. My particular favorite are fancy rats. Of all the little furries, fancy rats are by far the most intelligent. They are extremely affectionate little creatures and far happier if kept in pairs. As with all pets, please consider adopting, but if you really want a pair of young rats ensure that you go to a reputable breeder. Never buy from a pet store or answer an advert in the local paper. These are often the window for puppy mills and should be avoided at all cost. Remember that the Kennel Club provides details of accredited breeders with registered puppies for sale and look on their website for contact details. A good breeder with be happy to welcome you to their home, where you can see mum interacting with their puppies. Ask the breeder for the KC registration certificate and worming information. A good breeder will ask their own questions and their premises will be clean and the dogs happy. A good and considerate breeder, will have no more than three litter from a female in her lifetime and steer clear of any breeder who has different breeds of dog. If you are still unsure, contact The Kennel Club who will be only too pleased to help. I would strongly advise that your children are totally committed to caring for pet, since forcing a child into pet ownership will not teach them responsibility and you should be prepared to do all the caring yourselves. Animals should be for life and not just an impulse buy. Apart from the initial cost of buying your pet, be it from a store, breeder or shelter, pets are a huge financial commitment. They have dietary requirements, suitable housing, grooming, holiday care and most importantly, health care. Insurance is vital to the well-being of your pet and some can live for many years. The average lifespan of a cat is around 12 – 14 years and we have cared for some who have reached 20 and above! Rabbits, mice, gerbils and rabbits make wonderful pets, but they need to be handled regularly. 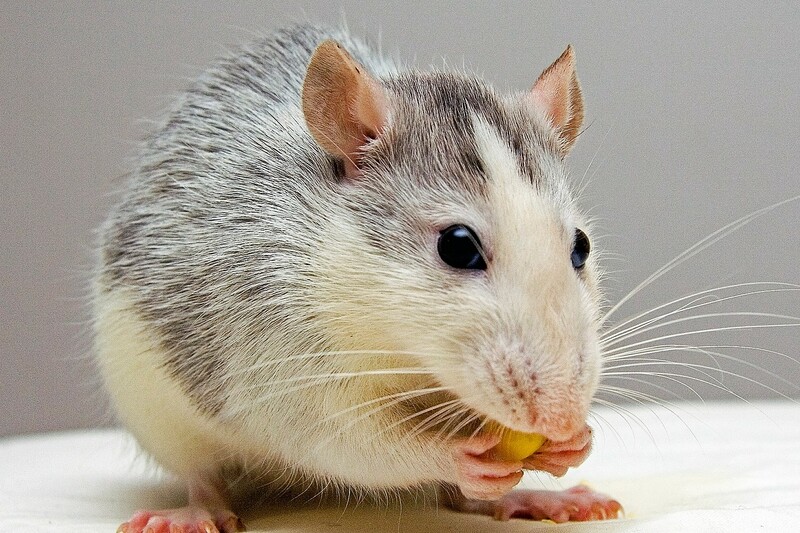 Rats especially, make wonderful companions for small children, since if socialized they are extremely interactive and affectionate, in fact I liken them to little canines in a rodent form. All furies require regular cleaning and for some children this can be monotonous once the novelty of pet ownership has worn off. In this case, parents must be prepared to carry out these duties and where possible encourage children to continue with their routines. Rabbits in particular can fall prey to the dreaded fly strike, a truly gruesome condition which occurs when flies lay their eggs on the rabbits rear ends. It is therefore imperative that their living quarters are kept clean and they are checked daily, especially during the summer months. The above are the most popular choice of pets, with thousands of families welcoming them into our homes. The majority of dogs are both loyal and affectionate, forming close bonds with their owners. When choosing a dog, you should insure that he/she is the right breed, type for your family, which is why it is so important that you research your breed before making your decision. Puppies and kittens need a lot of training and socialisation and may not be appropriate for young children. Adopting a calm friendly adult dog/cat however, who has been temperament assessed, may be a far better companion for your family. As with all pet/child introductions, it is so important that you help your child to see the world through their eyes. Children would react if they were poked or prodded unexpectedly, so you should explain that animals must be treated with respect and kindness. So have you done your research? If so, which pet did you get and did you adopt? When I was training my German Shepherd Dog Luika, these biscuits were recommended to me by my trainer. Being a vegetarian, they were not the easiest biscuits I had ever made, but trust me, your dog will love them and they make training a whole lot easier! I wore kitchen gloves and vegetarians, you may want a peg handy since they smell awful, although my dog slavered the whole time they were cooking, but I found that these were by far, the best dog treats for training. Crack the eggs into a measuring jug. Add an equal volume of water to the measuring jug and whisk. Blend the liver and garlic in a food processor. Add the egg mixture and blend to a cake-like consistency. Empty contents into a lined baking tray. Bake at Gas Mark 6 or 180 degrees for approximately 45 – 60 minutes (when cooked the cake should bounce back when pressed). Divide into cubes and freeze. German Shepherd Dogs have extremely thick coats and during the summer months he absolutely adores activities involving water and in order to cool him further I decided to look for some nice ice lolly treats. Mix the peanut butter and yogurt together. Place the mixture in a freeze proof container and place it in the freezer. After a couple of hours, you have some delicious ice treats for your dog! Please remember to wait 10 – 15 minutes before giving them to your dog in order to avoid freezer burn on their tongues. If you want to make ice lollies, chose something that your dog particularly loves such as chopped carrot, cooked meat, banana etc. just pour water into your container of choice (remember to use a container unique to your dog) and add your ingredients. Please remember that some fruits are toxic to dogs such as grapes and raisins, so PLEASE do your homework before selecting your ingredients. Being the owner of three extremely spoilt cats, I thought I would include a recipe for your feline family and tuna toast is a real hit with mine. Please note: Some animals have allergic reactions to foods just like us, so PLEASE do your research and beware of inadvertently feeding your pet toxins. When feeding treats be mindful that they have different calorie values and adjust their regular food accordingly.